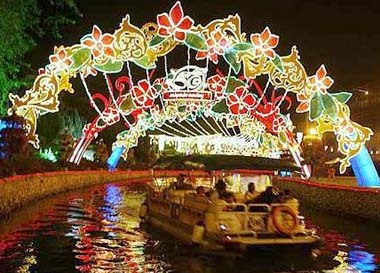 The most developed state in the country, Selangor offers some wonderful holiday spots for Klang Valley folk. 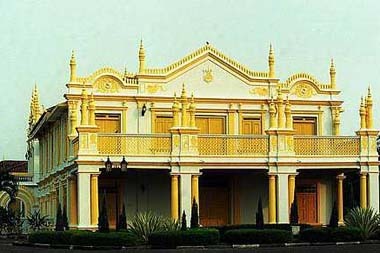 Built in 1905, this palace was the home of the fifth Sultan of Selangor, Sultan Alauddin Sulaiman, who remained in residence at Istana Bandar for 35 years. There is a blend of Indian and Middle-Eastern elegance in the palace which was artfully constructed by master craftsmen from China. Truly an architectural wonder! 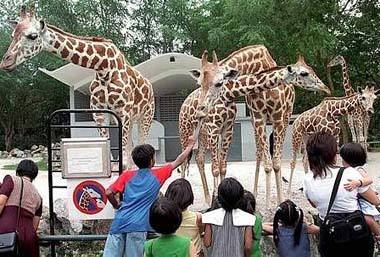 The first zoo in Malaysia, the 45-year-old Zoo Negara Malaysia is managed by the Malaysian Zoological Society. Situated in Hulu Kelang, the zoo is home to over 5,137 animals from 459 species of mammals, birds, reptiles, amphibians and fish. Located on a 50ha site, the zoo is just minutes from the city centre. 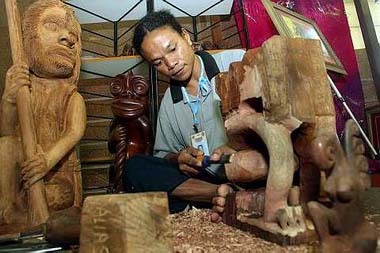 Known for its seafood, Carey Island is also home to an indigenous people called the Mah Meri who fashion votive sculptures from a swamp hardwood, Nyireh Batu. 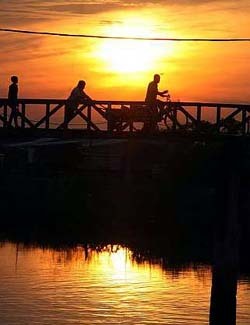 Carey Island lies south of Port Klang and north of Banting town and separated from the Selangor coast by the Klang River, connected by a bridge from Chondoi and Teluk Panglima Garang near Banting. Dubbed the Seven Wonders of Malaysia, the Mines Resort City comprises the following: The Mines Wonderland, The Mines Resort & Golf Club, The Mines Shopping Fair, The Mines Waterfront Business Park, The Palace Beach Resort & Spa, The Malaysia International Exhibition & Convention Centre and The Palace of the Golden Horses. It is truly a wonder especially at night when all the lights are lit. No introductions needed for this landmark, which is easily recognisable with its sphinxes and sandy architecture. Within its walls, lies a bustling theme park, shopping mall, great eateries and a new habitat for exotic animals in the form of a lush forest area. dedicated to Lord Murugan, whose giant gold statue now graces the entrance of the limestone hill. Located in Gombak, it attracts 1.5 million pilgrims annually, one of the largest concentration of people anywhere in the world on any religious occasion. Launched to commemorate the 14th Commonwealth Forest Conference in 1993, this attractive park combines dense jungle with landscaped gardens, formal arrangements, camping grounds, chalets, fountains, jogging tracks, hiking trails and other amenities to give visitors an idyllic choice for a greenery-clothed gateway. It covers more than 620ha and among the activities here are mountain biking, jungle trekking, picnics and even horse riding. Northbound visitors on the west coast can visit this park which is next to the trunk road heading towards Rawang from Kuala Lumpur. Small enough to walk around without a map or a guide, Kuala Selangor caters to tourists on their way to Kelip-Kelip at Kampung Kuantan or local travellers on a trail of seafood binging. 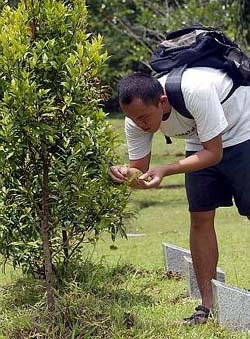 Among the tourist sites here is Bukit Melawati, a vantage point where cannons were strategically placed to ward off attacks. 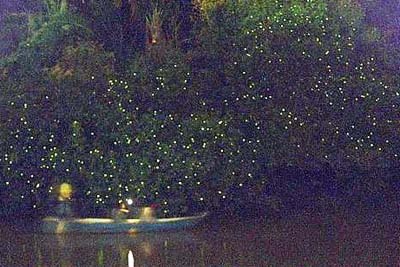 The other attraction is the Kuala Selangor Nature Park. This island is known for seafood, its dried seafood industry and sunsets. A quaint village on the island, mainly built on a wooden base is something of a tourist delight. The mode of transport on the island is the bicycle that can take you from one point to another in minutes. Selangor is as multi-racial as they come and some of the best restaurants in the country are located here. If you are hankering for seafood, then head to the little restaurants on stilts along Banting or go to one of the eateries in Shah Alam and Petaling Jaya.